It’s not easy to explore all the study abroad offers. Looking for all the schools accessible in terms of budget or even choosing one’s ideal destination can be a real headache to millions of students and parents every year. Thankfully, HigherEdMe is here to simplify this step and help students find the school that fits their projects, for free! Real matchmaking website for students and Schools from all over the world, HigherEdMe enables students to receive study abroad offers from worldwide Schools and Universities. They are currently more than 150, a number that keeps growing everyday. The students express their will to study abroad by answering only 9 questions summarizing the most important points such as their level and area of study, the language they want to study in, their budget and the country of their choice. For the indecisive or the most adventurous students, there is even the possibility not to choose a specific country and receive study abroad offers from all over the world. And as it is important to give a personal touch to one’s profile, the students are invited to write a few lines about their motivations in order to explain their project. The most original and interesting motivations will have the chance to be published on the company’s blog and in the schools’ newsletter, a real plus for the students as it will highlight their profile. HigherEdMe is a platform that keeps growing. In only a year, it reached more than 18 000 students and permitted to establish more than 1000 linkings between students and Schools. It has just won the prize “Think Education” 2017. Discover it on http://highered.me. 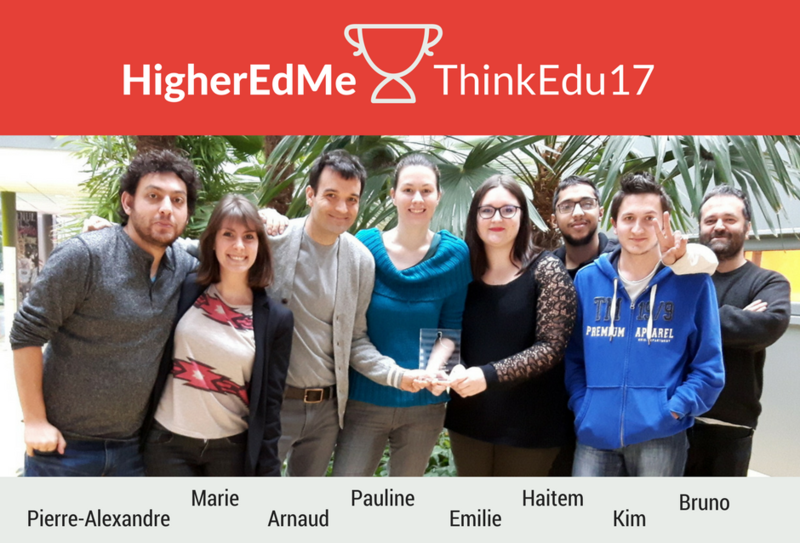 Concerning HigherEdMe : HigherEdMe is a startup with seven employees. It was created in October 2015 by Arnaud Catinot and Pierre-Alexandre Piarulli. HigherEdMe, in addition to its platform, offers digital marketing tools and services to higher education institutions wishing to find international students.